Participating in a foreign exchange programs for high school students offers teens a once-in-a-lifetime chance to immerse themselves in a new culture, get to know a new family, and experience a different part of the world. Choose the wrong program, however, and what should be an amazing experience can become a major disappointment. 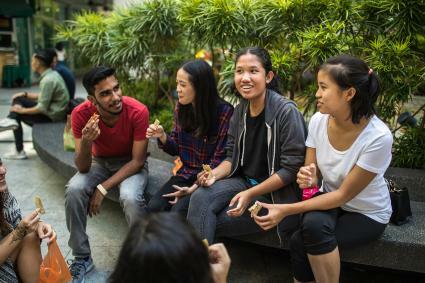 The best foreign exchange student programs connect teens with high-quality families and provide them with opportunities to fully experience the country they've chosen to visit. If you're looking for an exchange program, you'll want to consider whether a particular program operates in the country you'd like to visit and how much it costs. Beyond those basics, you'll also want to consider factors such as how the program finds the family you'll stay with, what special activities you get to participate in while you're there, and most importantly, what past participants say about their experiences with the program. Many of the top exchange programs have spent decades helping teens make memories through their programs. For over 65 years, AFS Intercultural Programs has been giving teens the opportunity to participate in their foreign exchange programs. The organization has programs in over 50 countries including Canada, New Zealand, France, and Japan. Teens have the option to participate in a variety of programs ranging from those that last the entire school year to those that last a few months during the summer. To participate in a program, teens must submit an application which includes a letter of recommendation and a doctor's form. They must also complete an in-home interview with an AFS volunteer. To even apply for the program, teens must have at least a 2.8 GPA, and depending on the country, may need to have language fluency. AFS has a 4.5 out of five-star rating from Rate My Study Abroad where participants note that the large size of the company results in a large network of support and resources. Unlike many study abroad companies, AFS actually has employees and offices in every country students travel to, making it easier for them to get the support they need. Youth for Understanding (YFU) was named one of Lexiophiles' Top 10 Study Abroad Programs: English and has a 4.5-star rating on RateMyStudyAbroad.com. Advertised as a life-changing program, not just an exchange program, YFU offers students ages 15-18 the opportunity to study abroad for a year, a semester, a summer, or through another specialty program like sports, nature, or theater-focused program. Through the program, students can participate in an exchange in Argentina, Australia, Austria, Belgium, Brazil, Bulgaria, Chile, China, and 35 other countries throughout the world. Most destinations don't require the student speaks the language, and in some cases, students may even get the opportunity to stay with a host family that speaks English. To help cut down on the cost of the programs, YFU also offers 200 government and corporate scholarships for students. Students can find out about those scholarships by attending a virtual information night or creating an account on the organization's website. Since 1947, CIEE has been offering programs to allow students to study abroad. The organization places students in about 40 different countries, including Germany, Chile, France, Ireland, Japan, Spain, and New Zealand. All of its programs, both for high school and beyond, have received four and a half out of five stars from Abroad101. CIEE focuses on providing students with plenty of information to make their trips successful. This includes requiring students to attend pre-trip orientation sessions and hosting an in-country orientation once students arrive. The company also tries to book students traveling to the same country on the same flight to help them enjoy the experience together and make it less stressful. Once abroad, students connect with local coordinators who make regular visits and help during emergencies. The Experiment in International Living has received rave reviews from parents and students for its three to five-week programs abroad. Programs typically take place during the summer and range from around $4,500 to $7,500 in cost. Unlike other study abroad programs, The Experiment in International Living focuses on providing students with themed experiences. For example, students may travel to France to learn about food or Brazil to learn about environmental stability. Along with the thematic experience, students get to participate in a homestay. Those interested in studying abroad with The Experiment in International Living can create an online account to gain access to more information, as well as a Parent Portal. Rotary International offers the Rotary Youth Exchange, an opportunity for around 8,000 students a year to experience another culture. Since it's a smaller program sponsored by individual Rotary clubs, it does not offer as many amenities as larger study abroad programs, but it does offer students the opportunity to study in around 100 different countries. 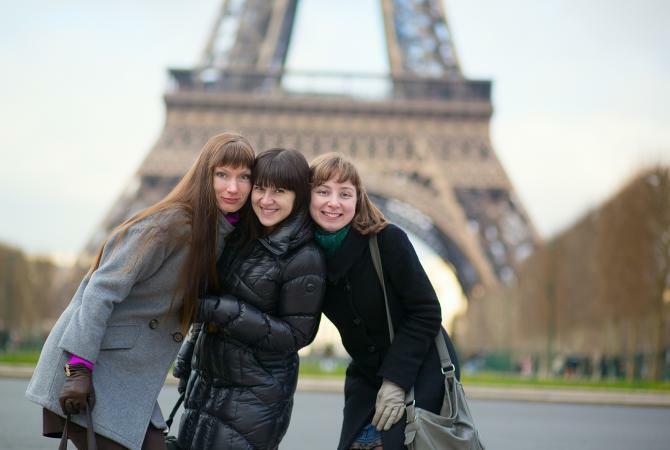 The structure of the program has students spending up to an entire year studying abroad, during which time they may live with multiple host families. Due to the nature of the program, students can select a list of top destinations or a general region, but the final destination will vary based on the availability of host families. Despite the inability to pick exactly where you go, many students have posted favorable reviews of the program online. Programs typically take place during the summer and range from $3,700 - $7,000 in cost, which does not include airfare or spending money. Sol Education Abroad is one of the highest rated companies on AbroadReviews.com where students praise it for its value, quality of host families, and overall ability to create an amazing study abroad experience. The company offers study abroad programs in four different countries: Costa Rica, Argentina, Mexico, and Spain. Students can opt to study abroad during four different summer sessions, for a semester, or even for an entire year. Costs for the program range from $3,000 for a two-week summer program to around $18,000 for a full year program. Greenhart Travel offers study abroad opportunities in 19 different countries including Australia, Brazil, the United Kingdom, and China. The company has been certified by the Council on Standards for International Education Travel (CSIET) and has received positive reviews from past participants. The company also requires that those traveling to Argentina, Spain, France, and Japan have at least two years of language study. Participation in one of Greenhart's programs also gives students the opportunity to meet high school community service requirements through the Greenhart Club which connects them with volunteer opportunities in their host country and in their home town. If thinking about traveling abroad, have an open mind when looking for programs. While programs that offer home stays in small towns may not seem as exciting, they could offer a more authentic experience than a program in a large city. The main features of a program are how safe you'll be while overseas and how much support they offer to make your experience a success. Beyond that, whether the experience proves to be a good one is largely based on your attitude and willingness to fully embrace your new culture.